Collectively, federal agencies missed 1,400 deadlines in the past 10 years, a new R Street Institute study finds. That amounts to nearly half the deadlines Congress set in law. – The Food and Drug Administration was late in developing regulations for food sold in vending machines. – The Department of Commerce was slow in issui ng regulations to reduce accidental deaths of bottlenose dolphins from commercial fishing. – The Department of Transportation was dilatory in finalizing rules to suspend the licenses of truck drivers convicted of safety violations. – The Department of Health and Human Services and other agencies missed half the Obamacare regulatory deadlines. Missing a regulatory deadline is a violation of federal law. Inevitably, regulations have costs and benefits for whomever is being regulated. 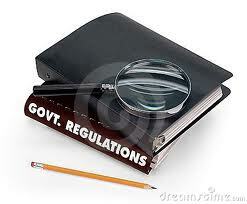 New rules also affect agency operations by adding tasks to their workload. Knowing what a regulation will require, and when it will take effect, helps affected individuals, businesses and authorities prepare for the changes. Remarkably, Congress itself has no system to oversee all the regulatory deadlines it assigns. When drafting a bill that imposes new deadlines, members have no way to see how many deadlines already have been assigned to an agency or whether they’ve been met. Committee staff try to follow regulatory policy, but it’s very much catch-as-catch can. With about 2,700 new regulations issued and another 4,000 finalized each year, there simply is not enough manpower or hours in the day.